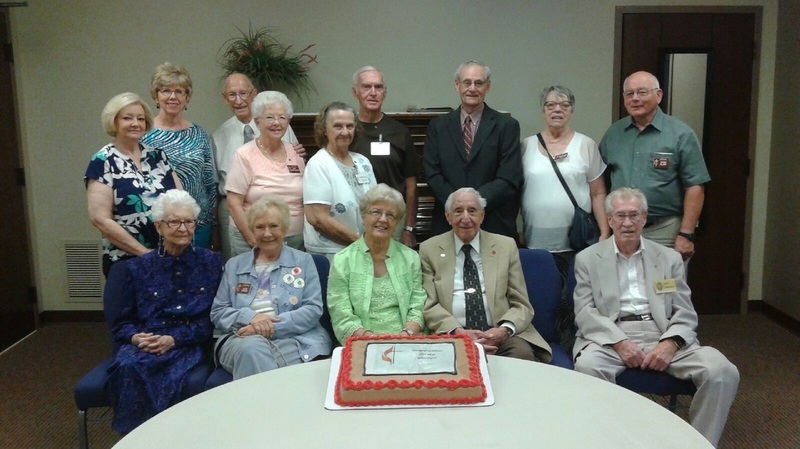 Those who have been members of Ogden FUMC for 50 or more years. Back row: Shanna Meinert, Julie Coley, Harold & Pat Mischler, Dorothy & Dennis Coles, Bud Trewitt, Suzanne Perrin, Vern Blair. Front row: Ramona Whipple, Ellen Fowers, Phyllis Combe, Mel Walker. Don Emerson.